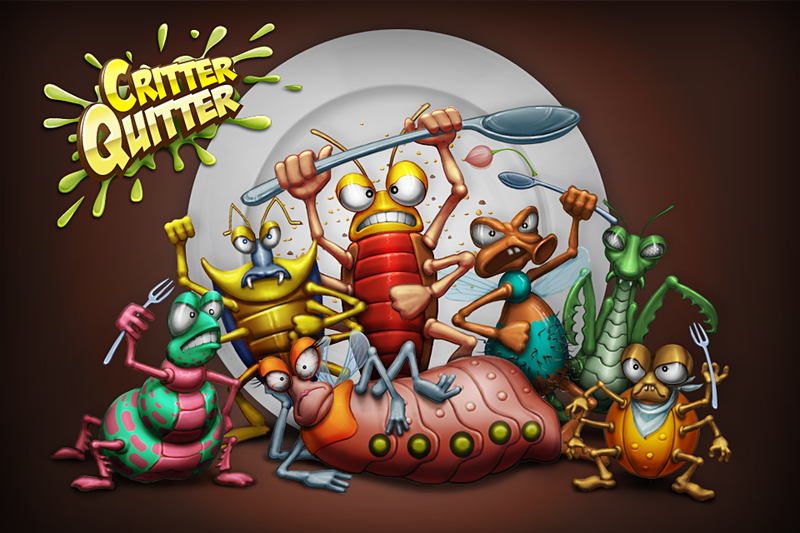 Call them berserker bugs, call them insatiable insects, call them pernicious pests, call them whatever you want but DON'T call them to dinner! These critters are on the loose and about to eat you out of house and home! 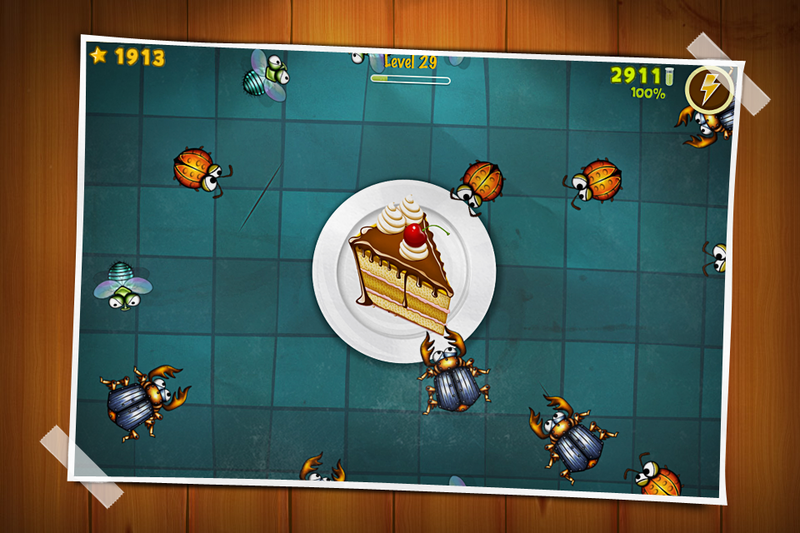 These critters are clever and cunning and will use every trick to get at your delicious pizzas, cakes, pies and assorted goodies. The only way to stop these critters is to bash, squish, and squash them into oblivion. But you won’t have to do it alone. 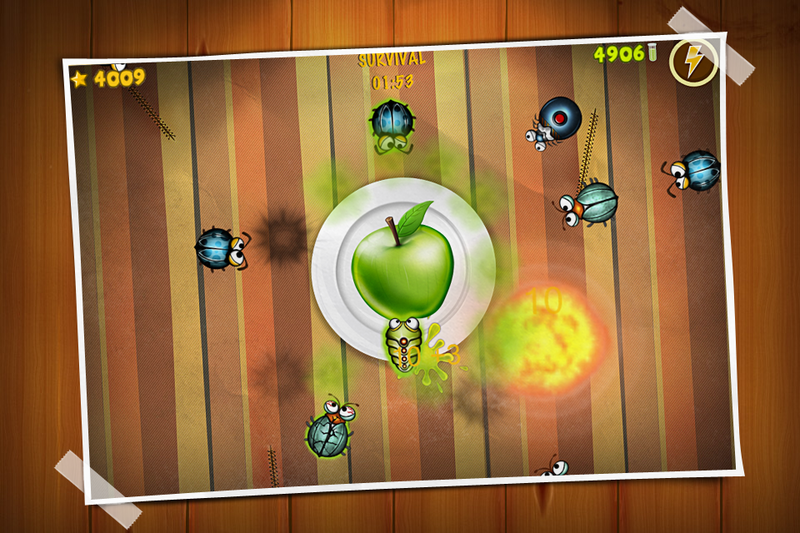 Each critter kill earns you juice and you can trade that juice for an assortment or wacky and wonderful, but dastardly and deadly weapons. 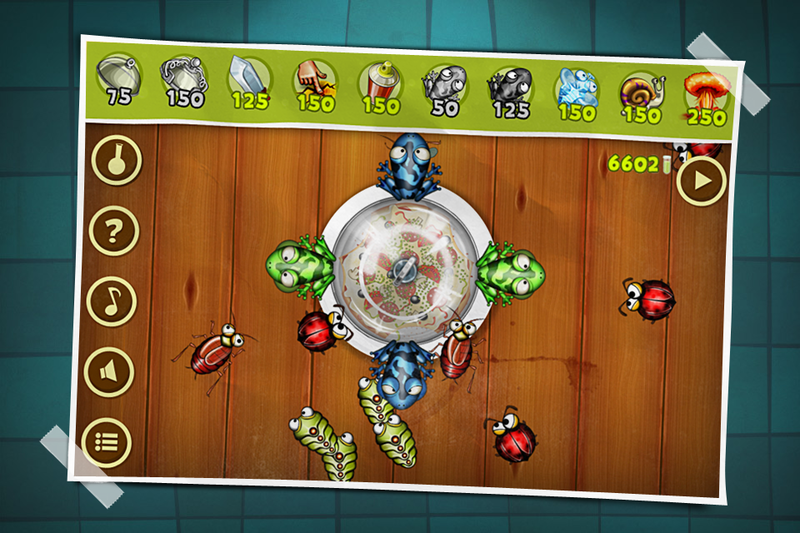 Use these weapons or “power-ups” to defeat these invasive critters. And with such a wide variety of power-ups at your disposal, no two plays are ever the same. 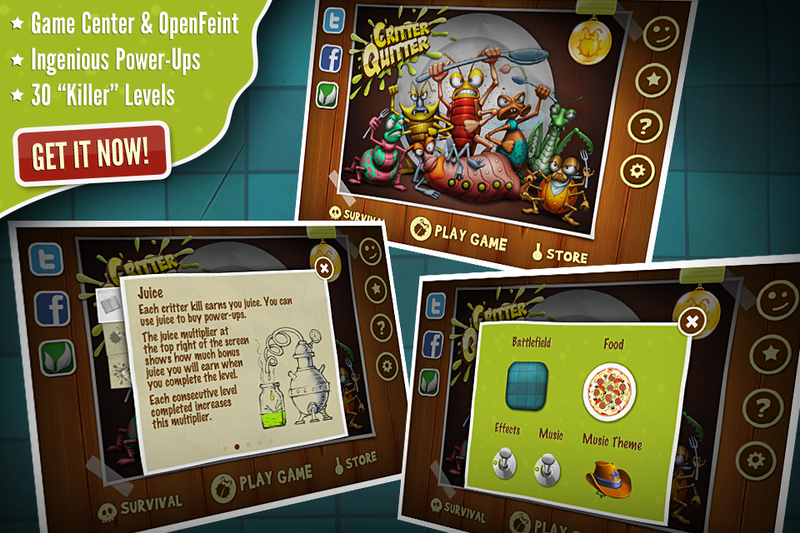 Critter Quitter offers you addictive gameplay, spectacular graphics, and two game modes!